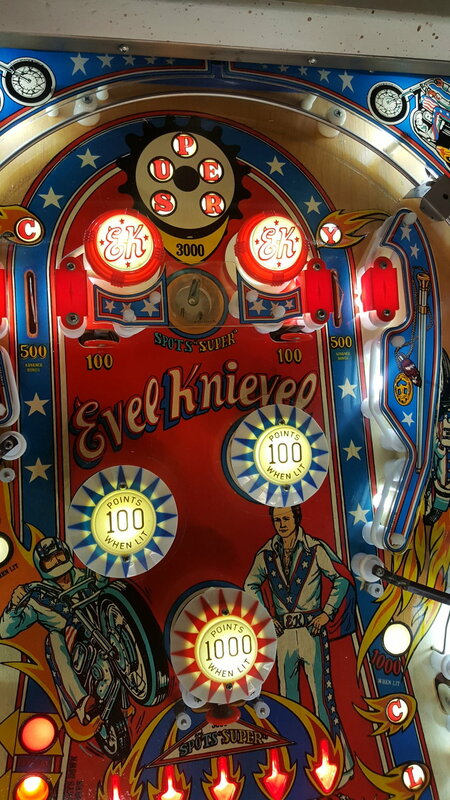 Evel Knievel is the original Bally solid state pinball game and is based on the famous motorcycle stunt driver. Go for the left drop targets to increase the Spinner values and enable the Extra Ball, or spell CYCLE to raise the value of the center bumper and try to score a Special. The cabinet has been freshly painted. LEDs have been installed throughout the playfield and the head. New rubbers all around and freshly polished playfield. All mechanics have been tested and verified. Brand new drop targets, thumper caps and freshly rebuilt thumpers. Backglass is in fantastic shape.